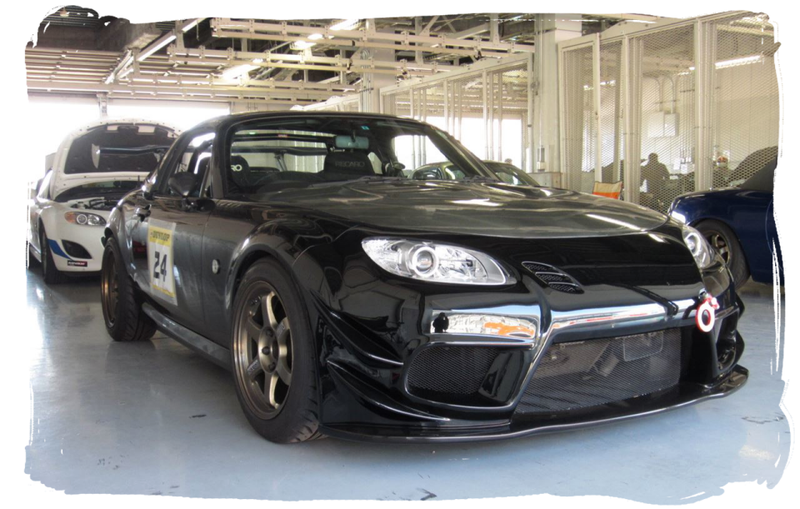 Toko's Roadster is an NC2 NR-A model in Brilliant Black from the Kanagawa region of Japan. 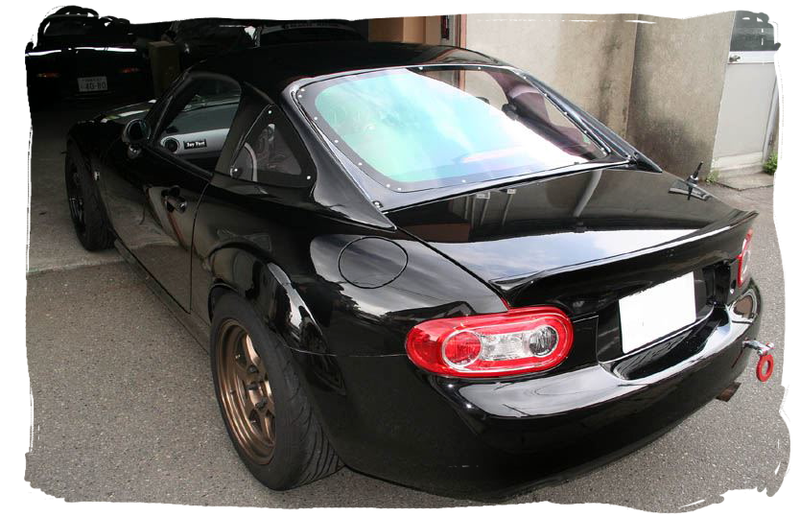 The car is a regular at trackday events and has been modified accordingly with the standout feature being an aftermarket hardtop. This Roadster was one of the first to be fitted with the fastback-style roof by Garage Vary, along with Joy Fast's yellow Tiger demo car. The roof gives the car a sleek coupe appearance. 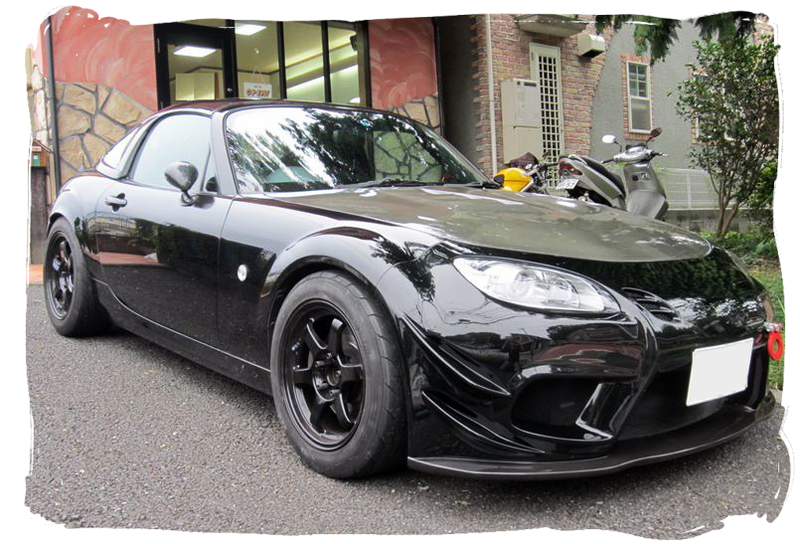 Other changes include a Garage Vary Type-N front bumper with carbon air splitter, Garage Vary door mirrors, Jet Stream rear lip spoiler, Odula vented bonnet, Mazdaspeed front and rear tow hooks, and for track action a replacement bootlid with 160cm GT style wing attached. Handling is greatly improved thanks to Aragosta suspension combined with Nopro rear link bars and Nielex steering knuckle braces. The car runs a staggered wheel setup with 16x8 ET25 Ray's Volk Racing TE37V at the rear and 16x8 ET30 TE37 at the front, fitted with Nankang NS-2R in the 205/55/16 size. 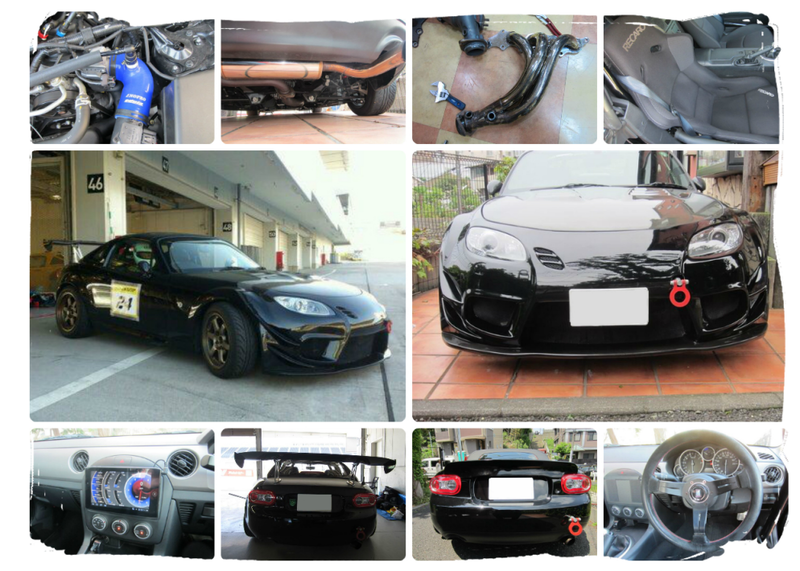 Performance mods include an Odula fresh air scoop (visible behind the front grille), a stainless exhaust manifold by Pitcrew Racing, and an Integral Kobe N-Zero single exit muffler. The interior features a Recaro SP-G3 driver's seat, a Nardi classic steering wheel, Zoom Engineering gearknob, and an Acer tablet mounted to the dash for display of real-time diagnostic data. You can watch some on-board action from Sodegaura Forest Raceway by clicking here.